More than 40 people have been killed over the past five days by severe storms in the South and Midwest. 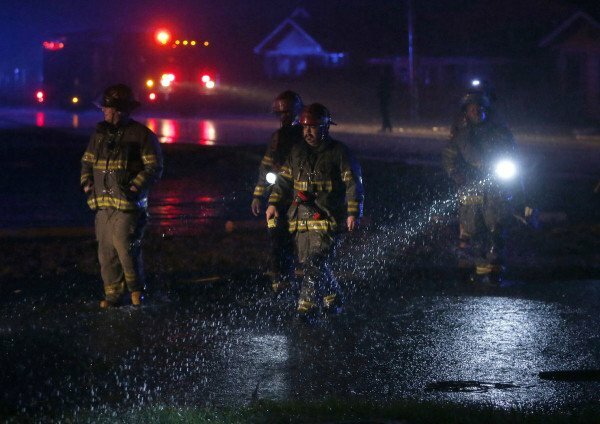 In Illinois, three adults and two children were swept away in their car by the flood waters. In Texas, at least 11 people were killed by powerful tornadoes with winds of up to 200 miles an hour. Parts of New Mexico, where a state-wide emergency has been declared, are expecting up to 2ft of snow. The New Mexico city of Roswell recorded 12.3 inches of snow on December 27 – an area record for a single day. Oklahoma Governor Mary Fallin declared a state of emergency on December 27 in anticipation of blizzard conditions and an ice storm. The bad weather forced the cancellation of nearly 1,500 flights on December 27, according to tracking service FlightAware.com. About half of the cancelled flights were in Dallas, a major US flight hub. While extreme weather in the United States around Christmas is not unknown, meteorologists say that unseasonably high temperatures in some areas contributed to the severity of the storms. The forecast for the eastern US is for high temperatures to continue – Washington DC pushed close to 70F on December 27.